I have another Mexican recipe. I am a Cajun mama who LOVES Mexican food, so I will probably most more than my share of these recipes. 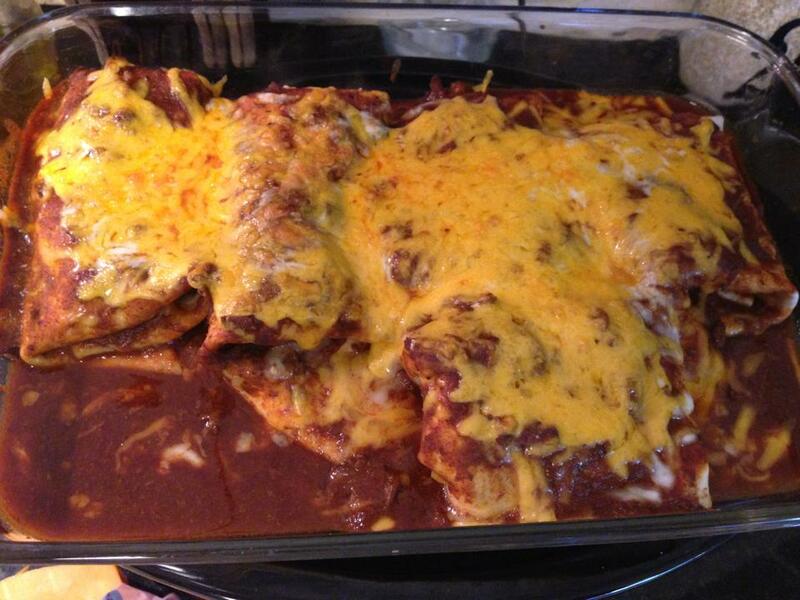 I found a recipe online for Colorado beef burritos and the picture alone made my mouth water. I have never heard of Colorado chile beef burritos before, but after making them I will never be without them again. My oh my. What a great Mexican recipe to have in my crockpot arsenal. They basically cook themselves. If you are in the mood for Mexican comfort food, this is one for you to try. Put cubed beef, bouillon cubes, and enchilada sauce into a crock pot (I used Las Palmas and even the mild had a little heat to it. The Old El Paso brand is little more mild, so it is a preference thing or what you can find.) and cook on low for 7-8 hours or until your meat is tender. If you have a newer crockpot that allows you to set a timer, you may want to set it for 6 and then check it. Mine was done after 6 hours. The new crockpots cook a little more efficiently and faster I think. You definitely want your beef overly tender versus not tender though. When your beef is done, taste and add a little kosher salt if you think it needs it. Heat up the refried beans if you are using them. Put your oven on lo broil. On a plate, lay out your first tortilla and place about 1/2 cup of the meat (using a slotted spoon) and a spoonful of your warmed beans if you are putting beans in your burritos. Roll into a burrito. Basically this means you fold it tightly enough around the meat/bean mixture by folding in all 4 sides. There should be no open sides. Place each burrito in a 9×13 dish as you finish them. Ladle some of the red sauce from your crockpot over the burritos to cover them well. Sprinkle the cheddar cheese over them. Broil until the cheese is melted and bubbly, about 2-4 minutes. Prepare to be amazed. Muy delicioso mis amigos! !